Lobo Public Safety Software has created custom computer applications, web applications, and websites for public safety agencies. How might we help with your technology needs? Hint: Click on an image to see it full size. 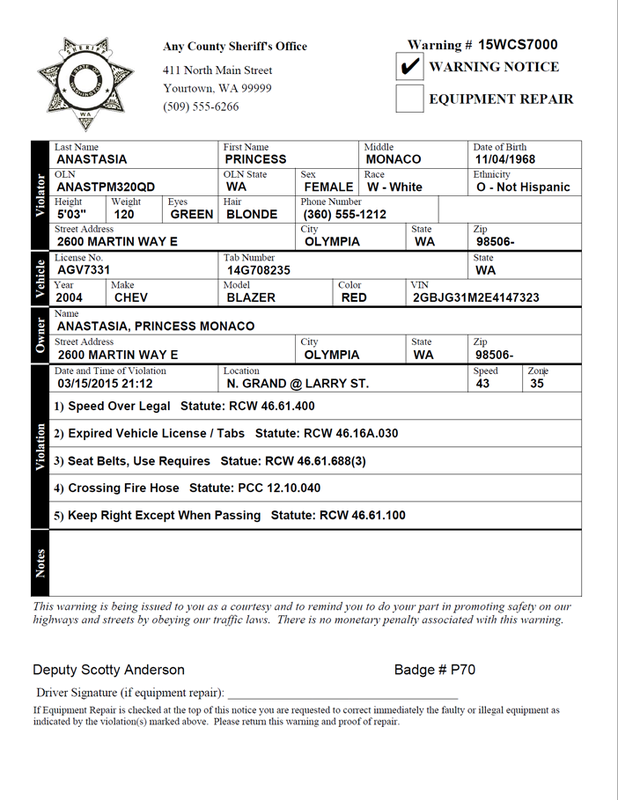 Stop Documentation and Written Warnings is a fast and simple to use computer application which enables law enforcement officers to quickly document contacts as well as issue written warnings and "fix-it" tickets. 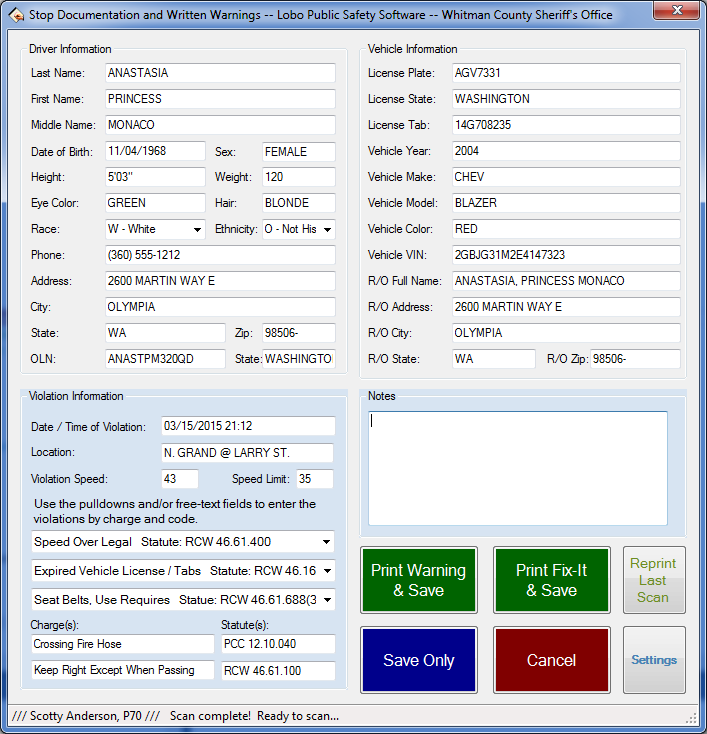 Stop Documentation and Written Warnings makes use of the in-patrol vehicle scanner and printer. Stop Documentation and Written Warnings will help your department go green by reducing paper usage. Each documented contact may be automatically uploaded to your department's computer system for entry into your records management system (RMS). Using Lobo Public Safety Software's Stop Documentation and Written Warnings application is almost as simple as "Scan-Scan-Print". Desktop Texting sends bulk text messages from desktop computers. This is simpler for employees to send text messages to a large group of people at once. 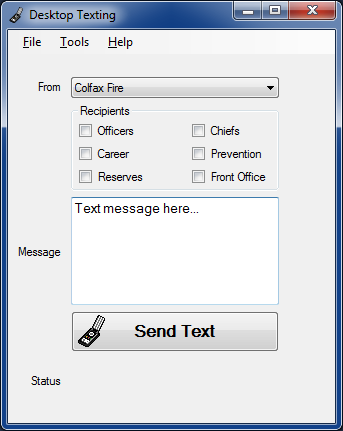 Colfax Fire Department uses Desktop Texting to alert fire department and ambulance company members about open shifts and ambulance transfers. 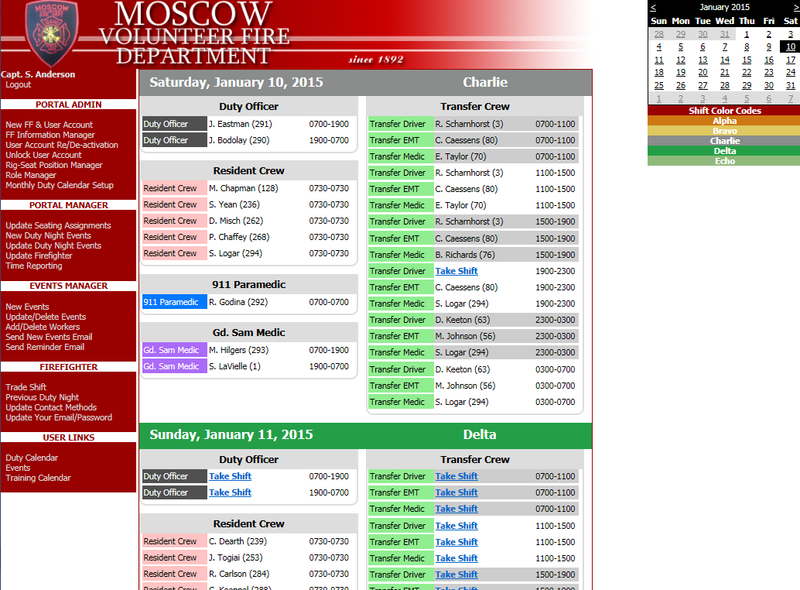 Fire Department Duty Calendar is a web application which allows fire department members to sign up for shifts. The website requires login to verify the member's fire rank and EMS level. The website only allows member to sign up for shifts they are eligible based on their rank and/or EMS level. Each day any member who signed up for a shift will receive a reminder E-mail and/or text message. 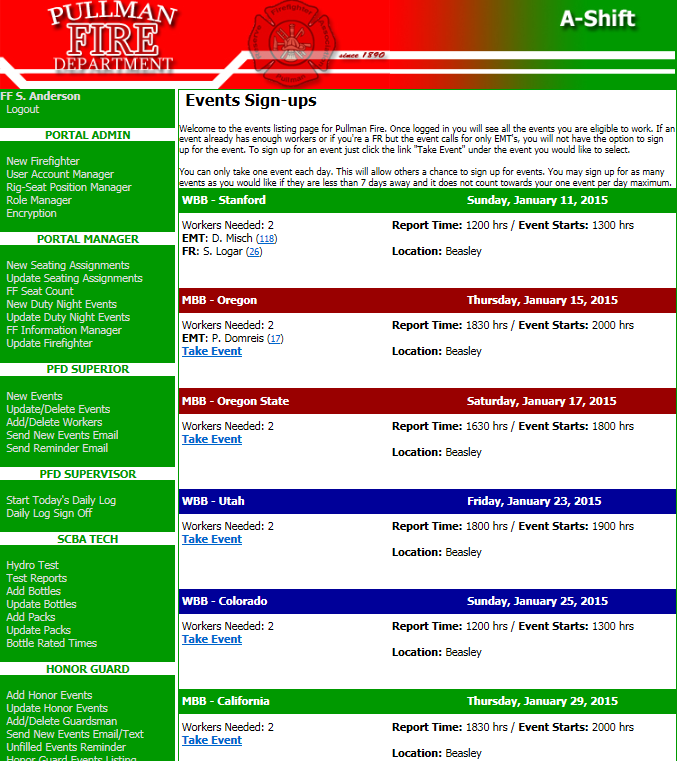 Events Website is a fair and equitable way for members to sign up for off-duty events. The website ensures the worker has the required skill set as specified by the event organizer or it will not allow the member to sign up. Each member may only sign up for one event within a specified period of time to ensure all members have had an opportunity to sign up for events. The events administrator is kept in the loop as events are filled up by receiving E-mail's that which informs the administrator who took what event. The Event Website E-mails a reminder to the member who took the event. The events administrator no longer needs to sift through multiple E-mail messages, text messages, and notes to try to remember who is scheduled to work events. All the event information and signed up worker information is in one location available at anytime on any computer or smart phone. 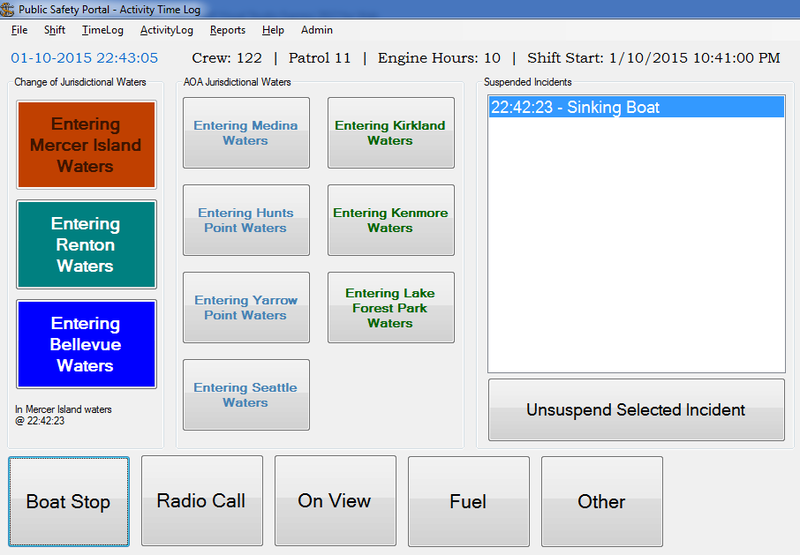 Activity Time Log uses touch screen technology to track incidents and time logged on the waters of Lake Washington. 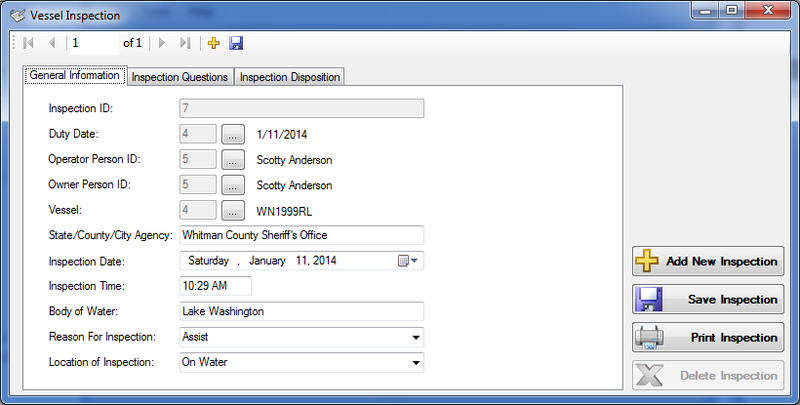 This application was custom created for the Mercer Island Marine Patrol unit. Activity Time Log generates mandatory monthly, quarterly, and annual reports. 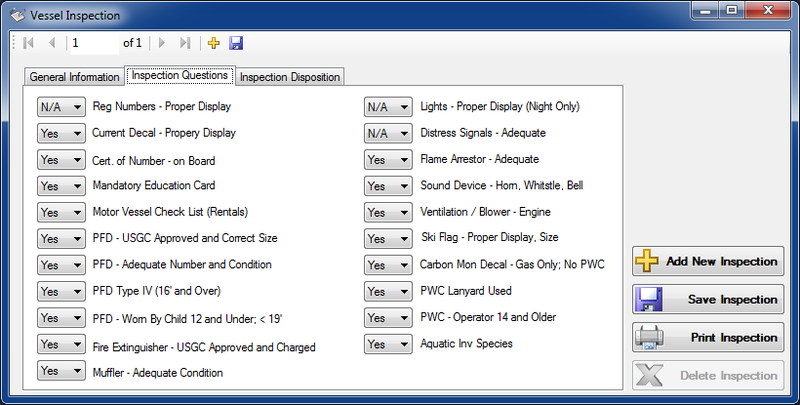 Vessel Inspection is a application which allows marine patrol units to log all boat inspections. The application keeps track of the contacts of vessels and individuals. It also keeps track of the warnings and citations issued to individuals. A search of a vessel or individual will let the marine patrol officer immediately know whether any warnings have previously been issued. 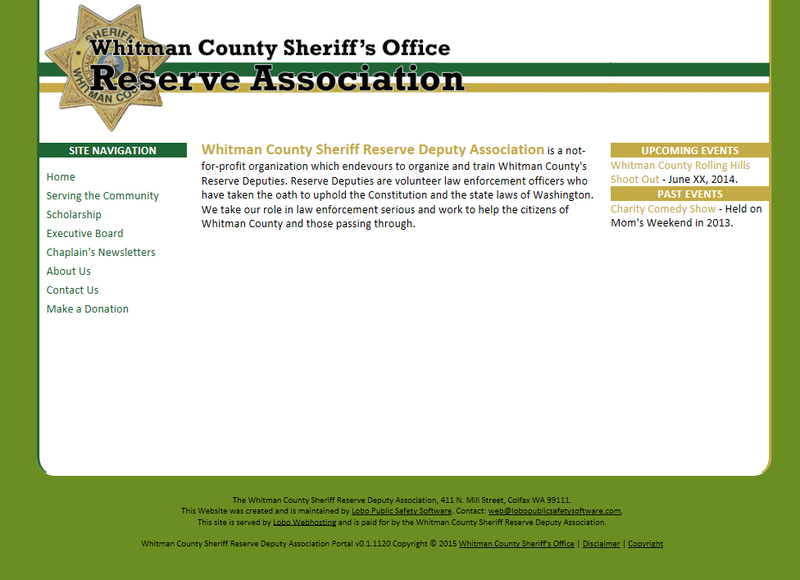 Reserve Association is a simple website created for the Whitman County Reserve Deputy Association. The website allows for communication with other Association members as well as the community at large. The website is integrated with PayPal(r) which makes signing up for events hosted by the Reserve Association a breeze. Web development by Lobo Public Safety Software and webhosting provided by Lobo Webhosting. 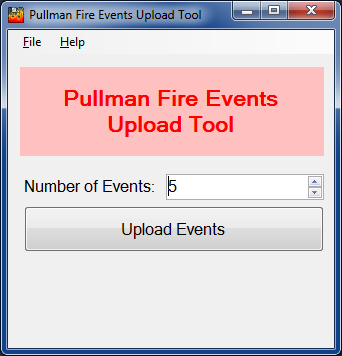 Pullman Fire Events Upload Tool was custom created for the Pullman Fire Department events administrator for bulk uploads of events.